It’s always shocking to me when clients who practice Facercise daily ask if they need to wear sunblock. Your skin is your largest organ, so it needs the most protection. If you don’t wear it every single day, believe me, you will regret it! Applying sunblock every day is essential for both anti-aging and protecting your overall health. My Protective Sunblock SPF 30 is one of my best-sellers because it provides grease-free, long-lasting protection. Read on for five reasons to make proper skin protection a priority. The ozone layer is depleting—this means you need powerful protection from harmful rays and sunburn. We’ve all been there—red skin that feels hot and painful to the touch and sometimes even blisters and peels. No bueno! While the immediate suffering fades away in a few days, the sun damage can be permanent and plays a role in those fine lines and wrinkles we’re all trying to avoid. Don’t risk it for a second—wear sunscreen every single day, rain or shine. Even with all the information out there about the sun’s harmful rays, more and more cases of skin cancer are reported each year. Wearing sunscreen reduces your risk of this potentially deadly disease. Many skin conditions, such as hyperpigmentation and age spots, are a direct result of sun exposure. 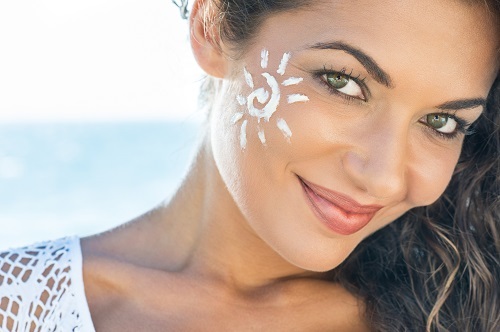 The sun can also exacerbate melasma, rosacea and overall sensitivity. Research shows that regular use of sunblock protects against photoaging, which includes wrinkling and loss of elasticity caused by exposure to the sun’s ultraviolet radiation. The sun’s dangerous ultraviolet rays destroy the collagen that surrounds the tiny veins and capillaries in facial skin, resulting in greater visibility. The appearance of those red veins, blotchiness and redness grows more pronounced with repeated sun exposure. Visit this link to check out my bestselling Protective Sunblock SPF 30 and other anti-aging skin care products.